Barrett Mahony acted as consulting engineers for the off-site rapid construction of 2 no. 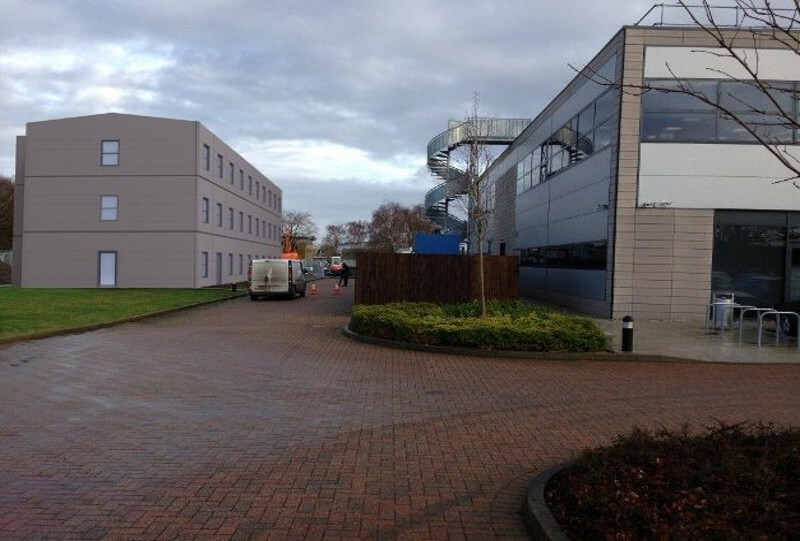 Modular buildings at Rutherford Appleton Laboratories in Harwell Oxford, Chilton, Didcot, Oxfordshire, United Kingdom. Both building, R103 and R104 have been manufactured off site, with the cladding applied once the modules are erected. The buildings are primarily for start-up scientific based companies who benefit from the support of the Science and Technology Council in the UK.